Yak & Yeti is a weird restaurant located in the Asia section of Disney's Animal Kingdom. It is comprised of two parts...the main restaurant which has a fabulous bar and terrific theming, and the counter service restaurant outside. While we don't really love the food at the main restaurant, we do enjoy the atmosphere quite a bit. However, up until recently we had no reason whatsoever to visit the counter service as there wasn't a single vegetarian options. Luckily for us, that changed recently and we made it a priority to visit on a recent trip. Theming here is sparse, and fits in perfectly with the surrounding area. It's hard to ask for much more from a counter service restaurant. But what theming there is remains super charming. Keep in mind that though there is outdoor seating here it is often super crowded. On this particular excursion we had to walk all the way to Flame Tree Barbecue to find a table. 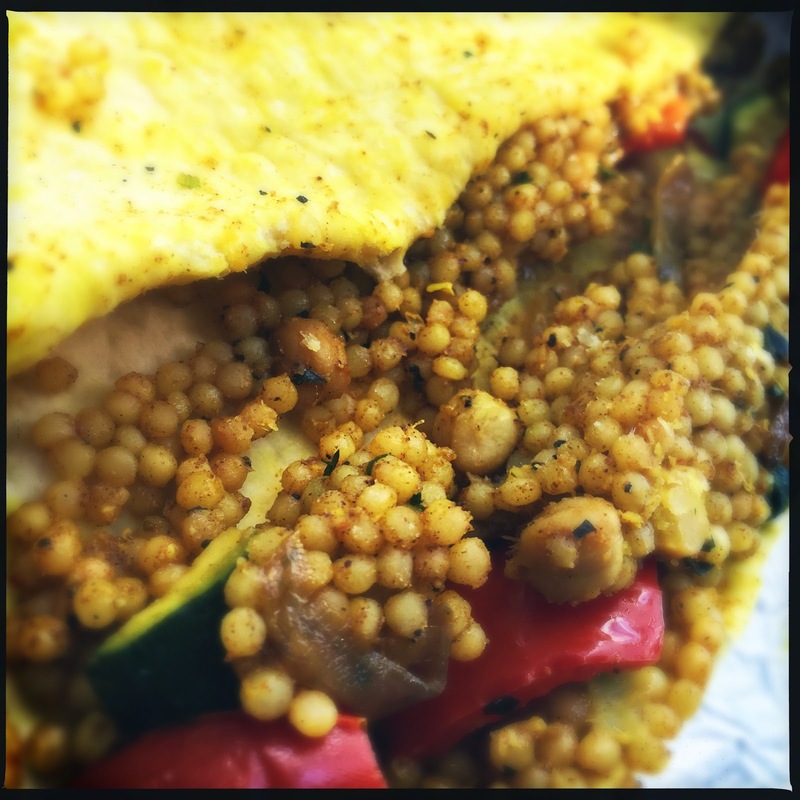 The new veggie item is listed as a roasted veggie and couscous wrapped in lavash bread with lemon herb yogurt sauce. Right off the bat, this seemed like an odd choice for the Asian leaning restaurant, and I was pretty convinced that we weren't going to enjoy this. Adam was super skeptical as well. But guess what!? We actually loved it! The bread was soft, and somewhat dry...but not bad at all. The inside was filled with Israeli couscous and a melange of grilled veggies, among them zucchini, red peppers, and onions. The description does insinuate a carb heavy dish, but there was also the surprise protein element with chick peas. Yum. There is a strong curry flavor here, but no heat whatsoever. If anything the spices played more to the sweeter side, with plenty of cumin to balance it out. The lemon yogurt sauce is basically a tzatziki and was absolutely delicious, my only complaint is that there should be more of it. 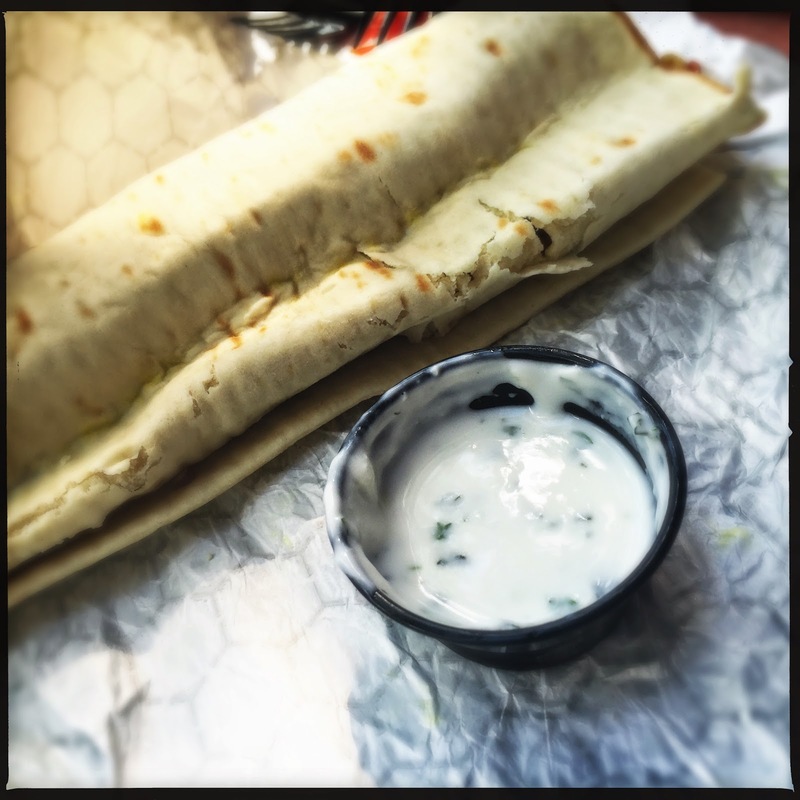 Have you ever had the couscous wrap at Yak & Yeti? 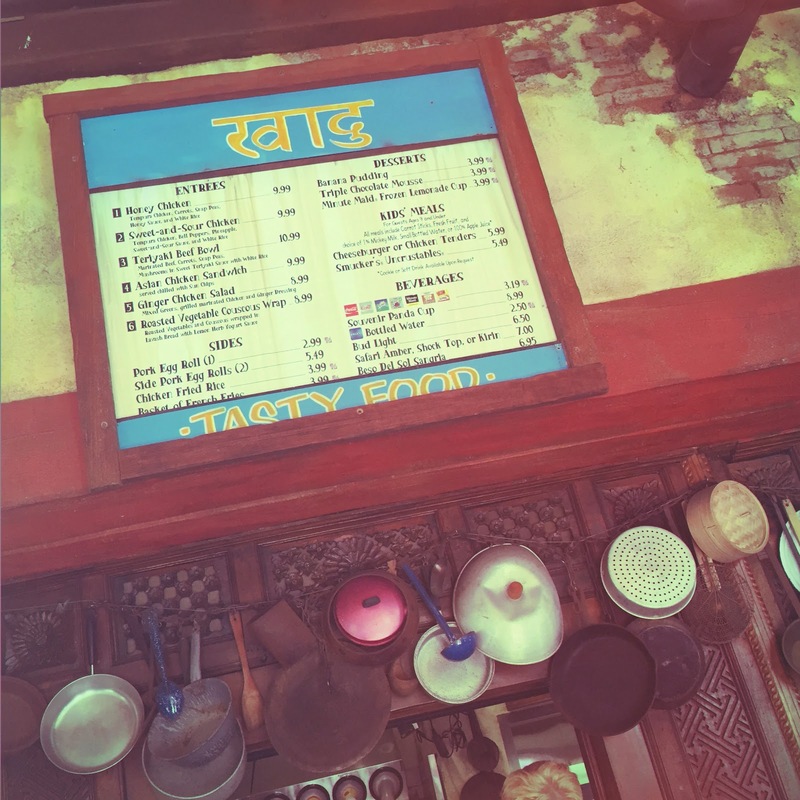 What is your FAVORITE thing to eat at Disney's Animal Kingdom? Let us know over on Twitter, or Facebook! Better yet, SHOW US a picture of your favorite treat on Instagram! Yay!!! I have never been to their counter service because of the lack of a single item of food we can eat. 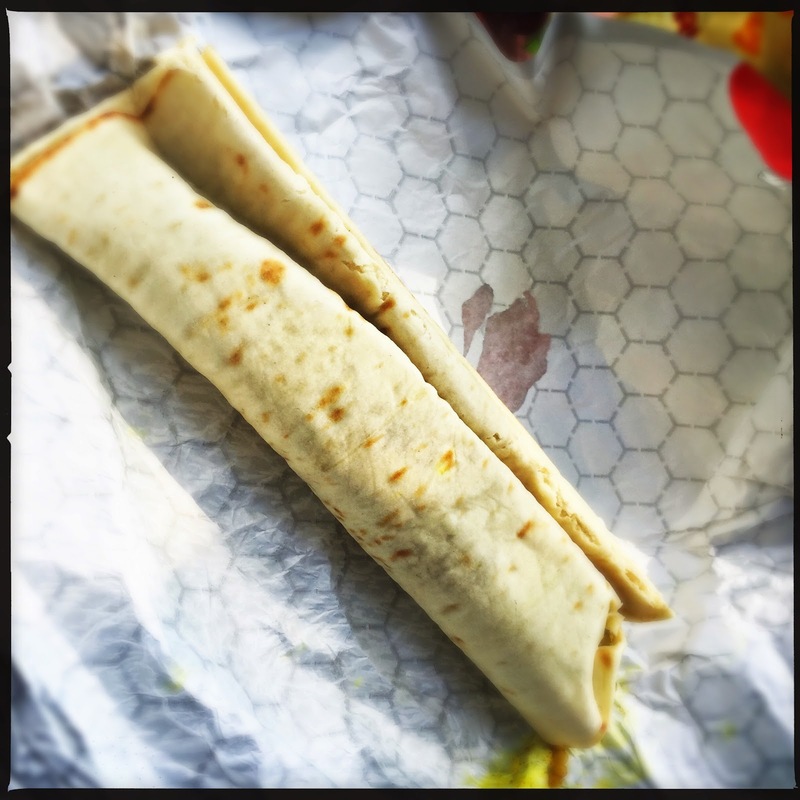 I'm definitely going to check it out now and grab a wrap just for the principle of the thing! I had this when we were there in March and it was delicious! I agree that the wrap was dry, but it IS park food, and this was my favorite out of anything I had between animal and magic kingdoms. I need to come up with a copycat recipe for home, maybe as a bowl dish without the bread. Yum!